Definition - What does One-Legged Side Plank Pose mean? 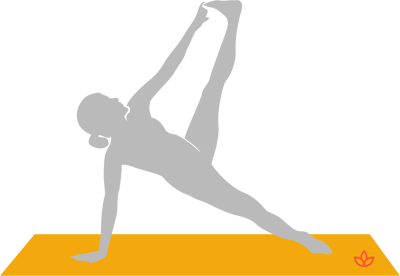 One-legged side plank pose is an intermediate yoga posture that turns plank pose on its side, building balance, core strength and flexibility. From a straight-arm plank pose, the entire body rotates until the chest is facing forward and the body is balanced on one hand and one foot. The upper leg extends upward as the corresponding arm extends skyward and grasps the big toe. In the full expression of the pose, the gaze is toward the upraised hand. If that creates too much of a challenge, the gaze can remain forward. In the ancient Sanskrit language, the pose is known as eka pada vasisthasana. Yogis with wrist, shoulder, arm or ankle injuries should skip one-legged side plank pose. Beginners can remain in side plank pose with one leg resting atop the other until they develop the balance and strength to attempt the full pose. Those who lack the flexibility for the full pose can use a yoga strap to assist with straightening and extending the upper leg.